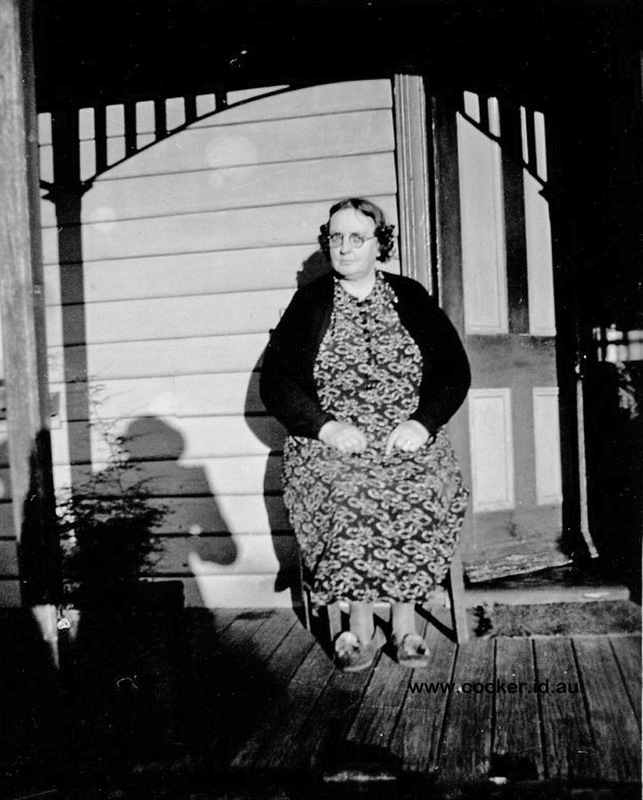 3-Jessie May McHugh was born on 29 May 1890 in Ulverstone, Tasmania and died on 23 Jun 1956 in Launceston at age 66. Jessie married William Austin, son of Edward Austin and Elizabeth Chambers, on 15 Dec 1909 in Devonport. William was born on 23 Oct 1877 in Gateshead, Lower Thames, Durham, England, died on 21 May 1938 in Currie Beach, Lefroy, Tasmania Accident at age 60, and was buried on 23 May 1938 in Carr Villa Cemetery, Launceston, Tasmania. William previously married Mary Elizabeth Parmenter in New Zealand on 21 Feb 1906. They had one daughter: Violet Isabel. AUSTIN— M'HUGH. A very pretty wedding was solemnised in the Devonport Baptist Church yesterday morning. The platform and organ rails had been nicely decorated with white ribbon by the girl friends of the bride, and a fair number were present to witness the ceremony, which was performed by the Rev. C. Palmer, of Latrobe. The contracting parties were Mr. William Austin, of Spreyton, formerly of New Zealand, and Miss Jessie May, the oldest daughter of Mr. and Mrs. J. M'Hugh, respected residents of Spreyton. The bride was prettily attired in white costume and hat, The bridesmaids were Misses Corrie and Lily McHugh and Miss Fay Young. The best man was Mr. Andrew M’Hugh, brother of the bride, who was given away by her father. There was an unusual, punctuality in the carrying out of the arrangements, consequently many of the spectators arrived whilst the later formalities were being observed in the vestry, but on the bridal party leaving the sacred edifice for their vehicle they were treated to the customary deluge of confetti. Refreshments were partaken of at the parents' residence, and the happy couple left by the afternoon train en route for Hobart; they leave by the steamer to-morrow for their honeymoon tour in New Zealand, returning again to make their future home at Spreyton. 4-William Edward Austin was born on 8 Jan 1911 in Spreyton and died on 1 Feb 1969 in the Launceston General Hospital at age 58. William married Mildred Ethel Goodyer, daughter of Thomas Francis Eli Goodyer and Ethel Proctor. Mildred was born on 24 Sep 1912 in Lilydale, Tasmania and died on 16 Aug 1986 in Cosgrove Park, Launceston, Tasmania at age 73. They had two children: (No Given Name) and Shirley Anne. 5-Austin was born on 17 Jul 1950 and died on 17 Jul 1950. 5-Shirley Anne Austin was born on 17 May 1953. Shirley married Kevin John Sullivan, son of Hampton, on 1 Aug 1976. Kevin was born on 9 Aug 1945. They had three children: Darren John, Christopher Kevin and Stephen Andrew. 6-Darren John Sullivan was born on 4 Feb 1971. 6-Christopher Kevin Sullivan was born on 8 Feb 1972. 6-Stephen Andrew Sullivan was born on 13 Aug 1975. 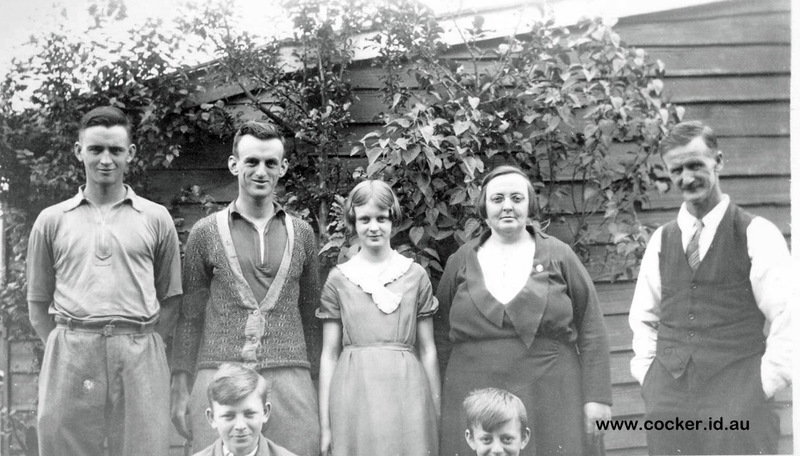 William next married Beryl Jean Hammersley on 4 Aug 1944. 4-Eric Frank Austin was born on 25 Mar 1912 in Spreyton and died on 3 Sep 1980 at age 68. Eric married Siss on 23 Mar 1944. Siss was born on 17 Jul 1919 and died on 3 Sep 1980 at age 61. They had one son: Michael Frank. 5-Michael Frank Austin was born on 23 Aug 1946. 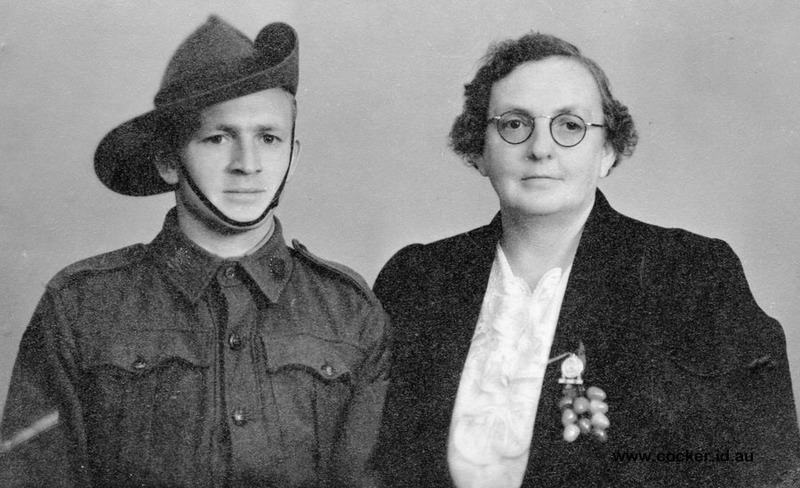 4-Arnold Wilfred Austin was born on 5 Feb 1915 in West Devonport, Tasmania and died in Jan 1953 at age 37. Arnold married Lila Harper on 13 Oct 1936 in St Pauls Church, Cleveland Street. They had one daughter: Margaret May. 5-Margaret May Austin was born on 23 Mar 1940. 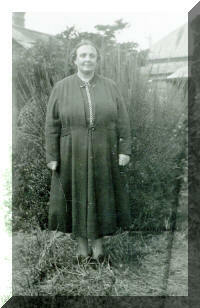 4-Jessie May Austin was born on 17 Jun 1916 in Spreyton and died in Jan 1973 at age 56. 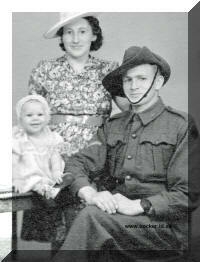 Jessie married Keith Ronald Cannon on 21 Dec 1940 in Baptist Tabernacle, Launceston, Tasmania. The marriage was solemnised at the Baptist Tabernacle, Launceston, by Rev. P. C. Bennett at 7.30 on Saturday evening of Jessie May, only daughter of Mrs. J. Austin of Launceston, and the late Mr. W. Austin, and Keith Ronald, youngest son of Mr. and Mrs. Cannon, of Launceston. The bride was given in marriage by her uncle, Mr. A J. McHugh. Lilies and roses, arranged by Mrs. C. Miller, decorated the church. Miss Purse was at the organ. Heavy ivory satin made the bride's slender gown, which was trimmed with fine pin-tucking and had a high uplift bodice. A full train flowed from the natural waistline at the back and over it fell a cut tulle veil, which was held to the head with a pleated halo of orange blossom and sprays of orange blossom. The bride's bouquet was of water lilies and fern. Miss Madge Gill, who attended as bridesmaid, wore a full-skirted frock of deep shell pink moire taffetas, trimmed with silver. Silver cord edged her turban of matching material and she carried a posy of pink sweet peas, carnations and roses, tied with toning ribbon. The groom was attended by Mr. Andrew J. Austin. Following the ceremony the bride's mother, Mrs. J. Austin, received guests at the Rose Cafe, where the floral decorations were carried out in a pink and white colour scheme. With an edge-to-edge coat of navy crystal crepe Mrs. Austin wore a smart frock of navy Continental silk and navy hat. Her posy was of sweet peas, carnations and gladioli. Mrs. Cannon, mother of the groom, wore a navy coat and matching frock finished at the neckline with a white gardenia, and a navy hat trimmed with cream gardenias. For travelling the bride wore a heaven-blue silk frock and her edge-to edge coat and hat were navy. Mr. and Mrs. K. R. Cannon are spending their honeymoon on the East Coast and will make their home in Launceston. They had four children: Marleen, Geraldine Rose, Julie Patricia and Dawn Ellen. 5-Marleen Cannon was born on 12 Nov 1942. 5-Geraldine Rose Cannon was born on 29 May 1944. Geraldine had two children: Debbie Marie and Janette May. 6-Debbie Marie Cannon was born on 17 Jun 1962. Debbie married Gary John Bullock on 23 Jun 1979. They had four children: Chantille Marie, Liana Rose, Tara Jane and Brendon William Lee. 7-Chantille Marie Bullock was born on 10 Jan 1981. 7-Liana Rose Bullock was born on 24 Jun 1982. 7-Tara Jane Bullock was born on 2 Dec 1984. 7-Brendon William Lee Bullock was born on 8 Nov 1988. 6-Janette May Cannon was born on 19 Dec 1964. Janette married Terry Scott Jackson on 14 May 1983. They had two children: Scott Albert and Alicia Rae. 7-Scott Albert Jackson was born on 1 Oct 1983. 7-Alicia Rae Jackson was born on 11 Nov 1985. 5-Julie Patricia Cannon was born on 13 Nov 1950. 5-Dawn Ellen Cannon was born on 5 Jun 1952. 4-Alvin Keith Austin was born on 1 Sep 1918 in South Spreyton and died on 22 Jul 1981 in Bicheno, Tasmania at age 62. He served in the military. 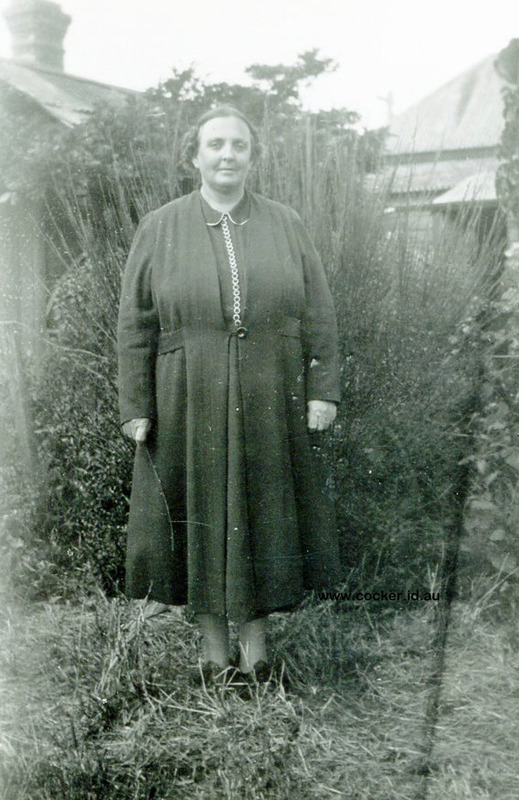 Alvin married Beryl Elizabeth Jane Smith, daughter of John Healy Smith and Martha Isabella McPherson, on 20 Aug 1940 in St. John's Church of England, Launceston. Beryl was born on 17 Feb 1920 in Bridgenorth, Tasmania. They had two children: Vonda Jane and Dianne. 5-Vonda Jane Austin was born on 11 May 1942. Vonda married Alwin Hudson. They had three children: Joanne Marie, Nigel Robert and Elenore Jane. 6-Joanne Marie Hudson was born on 4 Jul 1962. Joanne married Mark Dennis. 6-Nigel Robert Hudson was born on 23 Sep 1964. 6-Elenore Jane Hudson was born on 22 Oct 1968. 5-Dianne Austin was born on 6 Nov 1946. Dianne married Ian Madsen. They had two children: Julie Marie and Timothy James. 6-Julie Marie Madsen was born on 4 Sep 1970. 6-Timothy James Madsen was born on 11 Sep 1974. 4-Andrew John Austin was born on 24 Nov 1919 in Spreyton and died on 4 Jun 1985 at age 65. Andrew married Madge May Gill on 6 Jun 1942. Madge was born on 7 Jan 1921.